In 2015, Adweek called it “the next big thing.” In the years since, it’s become colossal. In fact, because of the way it makes marketing more authentic and believable, user-generated content (UGC) may be social media’s most significant contribution to the world of marketing. Visitors to websites that include UGC galleries spend 90 percent more time on the site. Social campaigns that incorporate UGC see a 50 percent lift in engagement. Ads with UGC generate five times greater click-through rates. 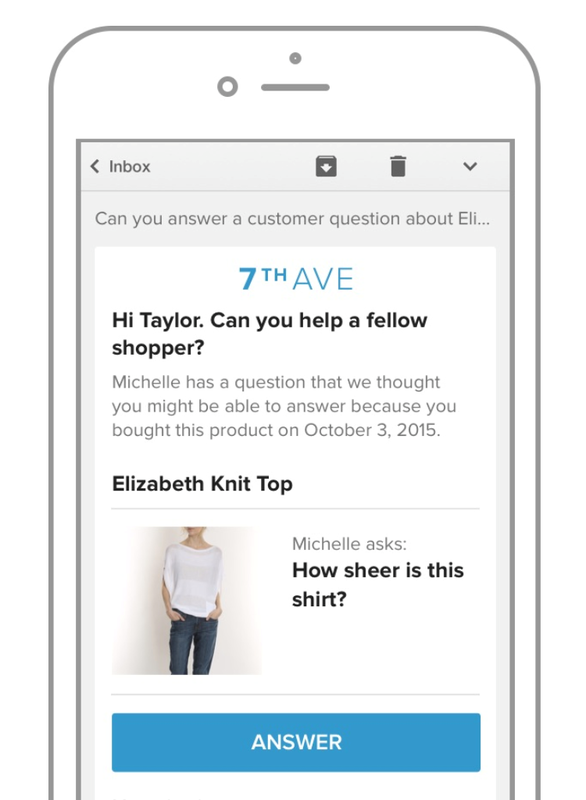 UGC drives a 73 percent increase in email click-through rates. UGC increases conversions by 10 percent when included in the online purchase path. The article cited above also included data from a study done by TurnTo (with research partner Ipsos). 90 percent of survey respondents said UGC had at least some influence over their online purchases. 53 percent rated it “extremely influential” or “very influential,” a higher percentage than for any other category. And as 2017 came to a close, TINT produced The 2018 User Generated Content Marketing Report. They added a point from ComScore research, stating brand engagement rises by 28 percent when consumers are exposed to a mixture of professional marketing content and UGC. The report concluded that user-generated content is not only an effective inbound tool but also shows great promise for supporting mid and bottom of the funnel efforts. Perhaps you were sold on UGC before I presented all that juicy data. Maybe your brand’s already flicked the switch. However, while the burden of creating user-generated content falls on your customers, you may have found the processes of inspiring, finding, collecting, and presenting UGC more laborsome than you like. But like most tasks in this hyper-cyber century, any number of SaaS-based platforms can slash the time it takes to achieve your objectives (especially when you know what they are). 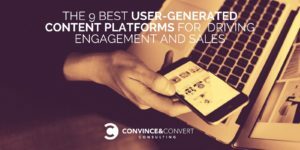 I can’t promise you I’ve turned over every stone in the fast-proliferating market, but I’m confident the platforms I have uncovered based on my experience and research can help you become a more efficient and effective purveyor of UGC. Here are nine of the top UGC platforms you might want to try or buy. When Yotpo entered the fray in 2011, the company focused on helping its customers collect and present text-based testimonials. This is still one of the strengths of the platform. However, they’ve taken a leap forward to empower brands to collect every type of user-generated content and use it throughout the buyer journey. According to a case study on the Yotpo site, Vanity Planet tested a product page against the same page with customer photos added just above the reviews. The page with the customer photos outperformed the original with a 24 percent increase in clickthroughs from the product page to the checkout page. The ideal way to inspire people to create UGC is to dangle a reward in front of them. Contests do just that. They deliver a reason to play along. ShortStack is one of the pioneers in the business of enabling brands to create contests, giveaways, and other types of online competitions and promotions. Their flexible service enables you to jumpstart the creation of your promotions by customizing any one of a long list of templates. ShortStack customers often choose to conduct photo and video contests, which are promoted on Instagram, Facebook, Twitter, YouTube and more. 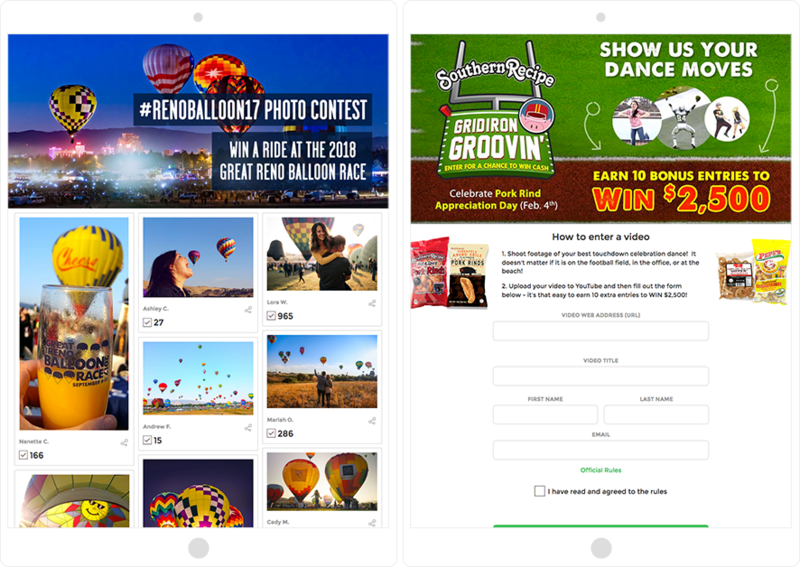 Contests not only prompt fans and customers to publish content, but also take advantage of what ShortStack calls “action-gating,” meaning users must submit contact information via a form to qualify for the competitions. The platform is a robust toolbox for increasing sales via social media. One compelling component of Curalate, Fanreel, enables e-commerce brands to “bring the outside in.” That is, brands can easily gather UGC, secure approval to use it, and present it on-site to help boost conversion. 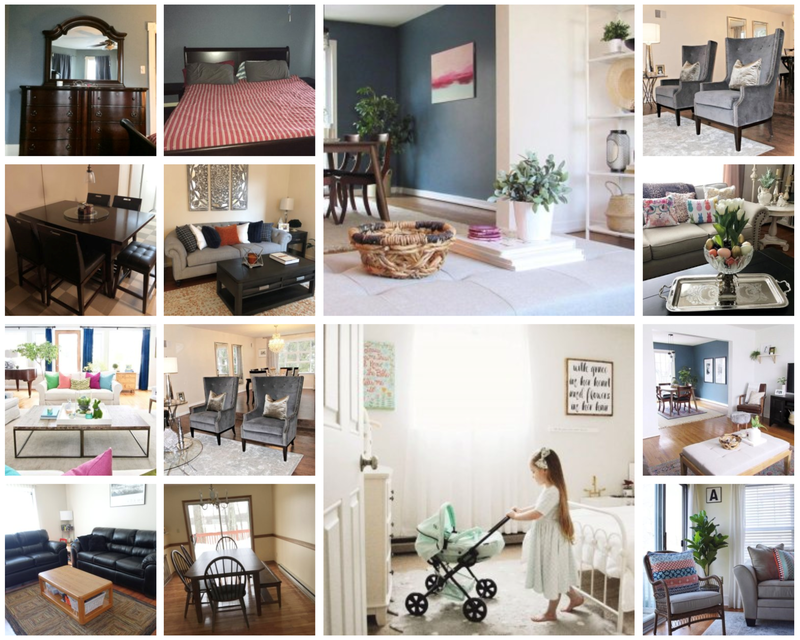 Here’s a sample portion of a massive gallery of UGC displayed on the Raymour & Flanigan e-commerce site, which sells furniture and mattresses. In addition to the broad “enterprise” use case, TINT positions its services specifically for hospitality and education markets. TINT also showcases how the service is ideal for creating social media walls at events. 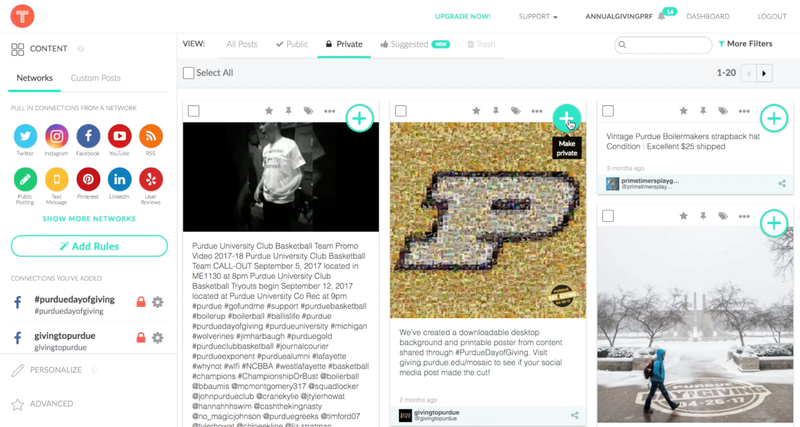 A video embedded in the post A Marketer’s Guide to Student Recruitment in 2018 offers a look behind the scenes at how Purdue University uses the service to compile social mentions of their annual Purdue Day of Giving event on a single page of their website. CrowdRiff combines UGC discovery and content delivery. However, CrowdRiff takes a vertical market approach with services that cater specifically to travel and tourism brands. 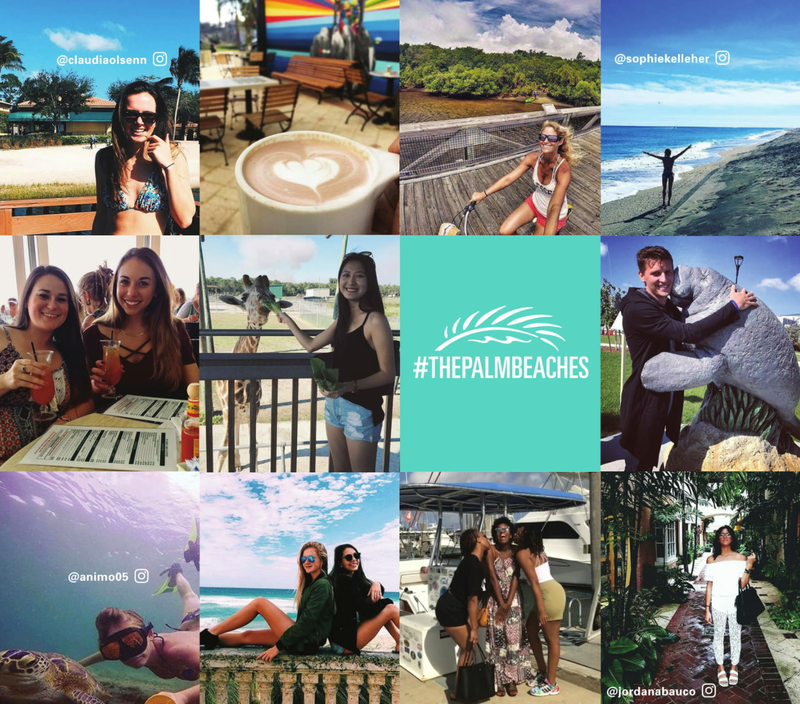 #ThePalmBeaches campaign is an example of how CrowdRiff’s clients leverage user-generated content, word-of-mouth marketing, and the power of social media to feature compelling visuals. CrowdRiff also touts “smart digital asset management for both UGC and owned visuals.” The platform’s AI elements include a feature that tracks the performance of photos and videos that clients choose to feature in galleries. The software then automatically features those that gain the most traction. Olapic’s a formidable player in the UGC space as well. Clients earn content with a content engine, request it from influencers and employees with a creator platform, and create it by turning assets into motion-based content. I didn’t find any mention of “motion-based” on the websites of the other brands included in this post, so let’s look at that interesting feature. Olapic’s Content in Motion feature transforms UGC images into engaging, short-form videos that can be shared across a variety of digital channels. 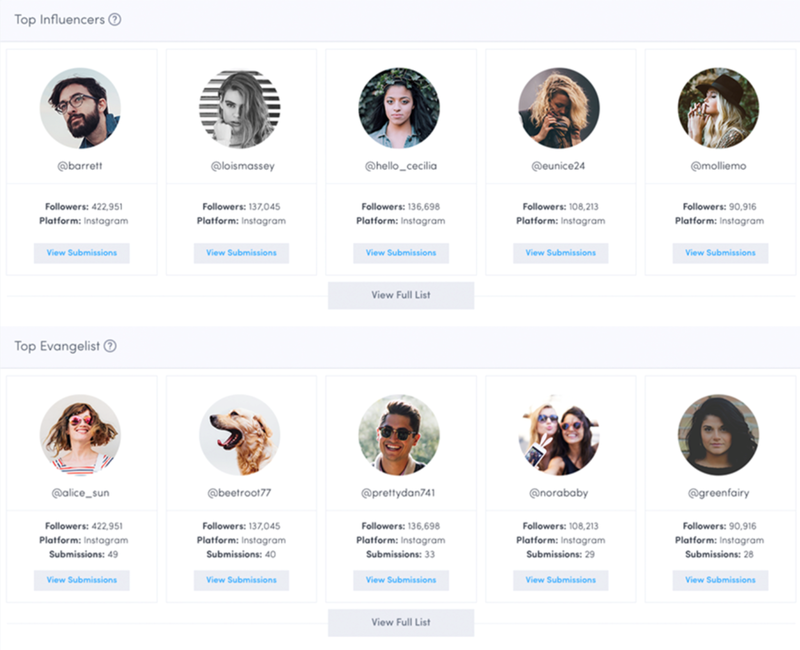 Stackla is another powerful player in the “collect and curate” realm, which touts the platform’s ability to collect social content from over 25 sources and use geolocation and visual recognition technology for UGC tagging. Stackla’s Co-Pilot product introduces an AI element, which uses machine learning to detect patterns in the content its clients publish and measure engagement resulting in predictive recommendations. Pixlee is another robust UGC platform on a mission to help brands market with the voice of their customers. However, it introduces a unique influencer marketing element. On the Pixlee site, they use the term “Social CRM” to describe the built-in influencer marketing functionality. This social CRM manages and connects with passionate customers and influencers and measures the results. TurnTo offers what it calls a “suite of shopping assistance tools” to better inform users. Its four-pronged product suite includes UGC solutions for ratings and reviews, visual reviews, check-out comments, and community Q&A (which struck me as its most unique offering). TurnTo’s goal is to connect customers with questions to people who already own the product. Many questions are answered instantly thanks to a Q&A knowledgebase, which draws from existing answers. “Many marketers have yet to realize the brand-building power of this immature but influential marketing discipline.” These words come from a 2014 white paper on UGC by Forrester Consulting (commissioned by Bazaarvoice). Four years later, many marketers have indeed realized its power. Many SaaS companies have brought helpful solutions to market. The market is ripe, and it continues to grow up. 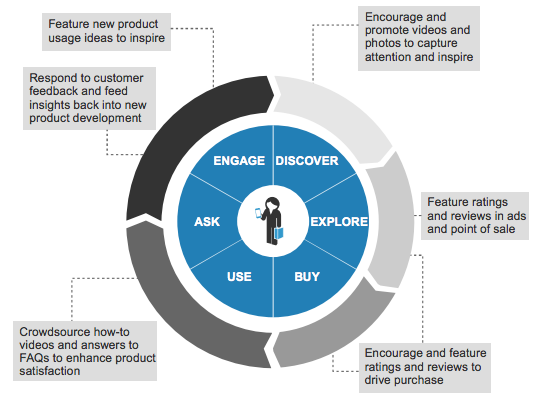 The graphic above depicts how brands leverage UGC throughout the customer lifecycle. It dates back to 2014 but makes important points that are even more relevant today. Go beyond ratings and reviews. Invite customers to contribute content. Give customers a reason to engage with the brand. Engage with customers who engage with your brand. There you have it: an arsenal of tools for collecting all kinds of UGC and driving engagement and sales. Go get ‘em!